BELTRAMI COUNTY, MN -- In the wake of so much violence involving police officers, one Minnesota teen wants to make sure the ones near him know they're appreciated. A deputy with the Beltrami County Sheriff's Office recently came home to find his lawn mowed. He also found a note from a 17-year-old named Brett. 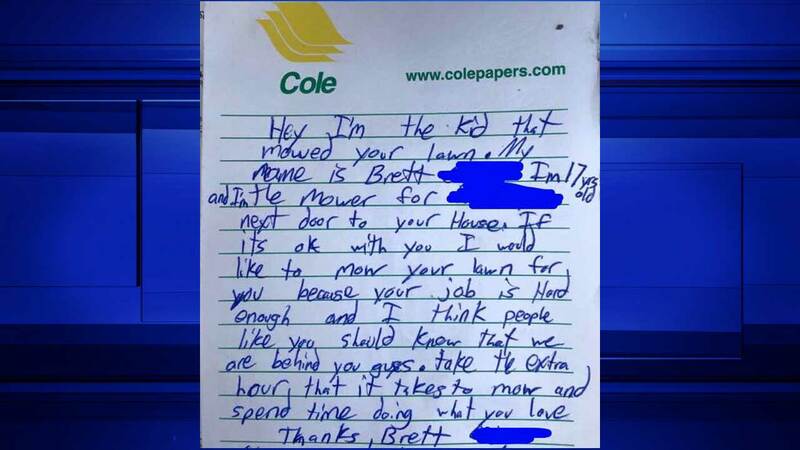 In the note, Brett, who takes care of the lawn next door, explained that he mowed the deputy's lawn because, "Your job is hard enough and I think people like you should know that we are behind you guys."